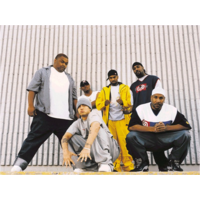 D12 (also known as D-12, and The Dirty Dozen) is an American hip hop group from Detroit, Michigan. D12 has had chart-topping albums in the United States, United Kingdom, and Australia. D12 was formed in 1996, but only achieved mainstream success when one of its members, Eminem, rose to international fame. D12 has sold over 10 million albums worldwide.